Tenants of an apartment building at 2622 W. Cermak Road in Little Village received a 40-day eviction notice after the building was purchased by investment firm Barnett Capital. 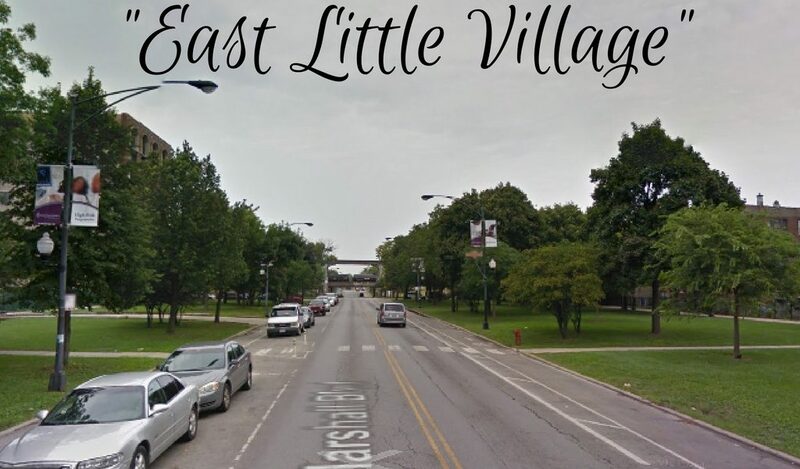 The real estate listing described the short-sale property as an “amazing investment opportunity” in “East Little Village.” It sold for $482,500, just two months after a lien for building violations was placed against the previous owner, Great Hope Family Center. The lien resulted in daily fines of $7,500, according to the Cook County Recorder of Deeds. The Cermak Tenants Union held a rally and press conference this past Tuesday to protest the eviction. The union is demanding a one-year lease, comparable rent, necessary repairs, and direct communication with Barnett. A petition supporting the tenants has yet to reach its goal of 400 signatures. The eviction and overall rising rents continue to concern long-time residents of the neighborhood, where the average household income is $33,000 and a third of residents live under the poverty line. The property is near Cermak and Marshall Boulevard, an area that has seen a rise in real estate investments for its proximity to downtown Chicago. Earlier this year, Gozamos reported that one of Little Village’s most recognizable buildings, 2200 S Marshall Boulevard, former home of Latino Youth Alternative High School, was purchased by a long-time real estate broker. The first floor of the building is currently being renovated at an estimated cost of $85,000 to hold a coffee shop.